There’s loads of great things to do in Norfolk, and NorfolkPlaces aims to provide you with handy information about places to visit, whether it’s a family day out or for longer holidays in Norfolk. 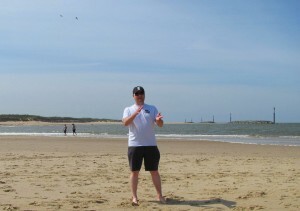 NorfolkPlaces was launched in 2011 as a way of posting my family reviews of visits to great attractions. We had got so much pleasure from these places over the years and I wanted to tell everyone how great Norfolk is, and the areas surrounding Norfolk too. However, I realised there was a lot of places we had not visited and we were getting requests from attractions that wanted to be included on our website, so to help Norfolk’s tourism industry we decided to re-launch in late 2013 with a directory listings section that provided a shop-window for tourism, leisure and lifestyle in Norfolk. Our directory provides an opportunity for attractions/accommodation etcetera to tell our site visitors what they have on offer, and allow visitors to add their own views too. We’ve expanded beyond just being a review and directory website, offering much more to promote Norfolk’s tourism, leisure and lifestyle businesses. We’re also still adding our own reviews as my family and our team are passionate about the places we visit, and the good thing is if we haven’t visited somewhere yet you can use our comprehensive attraction listings to find out about places play or stay in Norfolk. And if you have some useful feedback please share with other visitors and the attraction owners too. The fact that we’re local and we go out and do our own reviews of some of the places on our site helps to distinguish us from the other sites about Norfolk, many of which are created by people outside of the county. Also, unlike directory websites our website is not full of Shutterstock photos ; All the photos on NorfolkPlaces are taken by us or supplied with permission by contributors. I hope our efforts and the work we do with all of the businesses and attractions listed on the site help you to have a pleasurable day out (or even a vacation) in Norfolk. Visit and “Like” our Facebook page for even more updates and extra photos of places we visit. Thanks to Sutts for the logo design.